Disclaimer: I do not consider myself expert at all in this field, and I realize that my test method is flawed in many, many, ways. There are plenty of confounding variables that impact my subjective evaluation of these speakers. As such, I present as much information as possible about my test methodology, so you can make your own judgements on the relevance of this information. Please feel free to comment freely on my methods, other data that may be in conflict with my opinions, or your own (similar or dissimilar) opinions. Thanks again to npdang, who has gratiously provided the opportunity for us DIYers to audition multiple drivers in this fashion!!!!! I just did a quick scan to compile review threads. There are many, many, other excellent review threads here, so I'd recommend anyone shopping for 8” woofers to use the search function to find more info on drivers! 1) In-home listening, with drivers mounted in "optimized" enclosures with fewer environmental influences. 2) In-car (in-door, that is), as part of a 3-way front stage in a fully active mobile sound system. Carpeted family room, approx. 12' wide x 15' deep in dimension (8' ceilings). First, I used WinISD to calculate optimal (optimally flat) sealed volume for the drivers. Below shows a plot of the modeled response of the 6 original test woofers per WinISD. I then fabricated a 41.1 l sealed enclosure with a removable front baffle. This volume represented the largest volume required (sans the Morel) for the original driver set. I also made a variety of baffles to account for the different mounting diameters of the drivers. 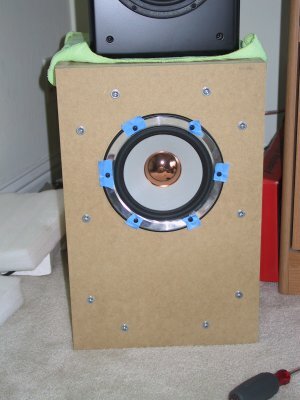 I listened to each woofer in succession, and used bricks to reduce the volume of the enclosure to match each driver's optimal alignment. I used Acousta-stuff, per manufacturer's recommendations, ~1lb/ft^3. Drivers were countersunk as shown. Low pass crossover points were adjusted during the test, but no equalization was utilized during these sessions. Crossover frequency was varied from about 200Hz up to 1 KHz. No high pass filter was utilized on the woofers. Below is a picture of the listening setup with the test cabinet (bottom) and monitor (top). 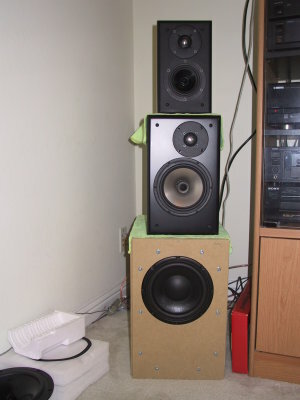 Note that the middle speaker was not used during this test (it was just an expensive speaker stand ). 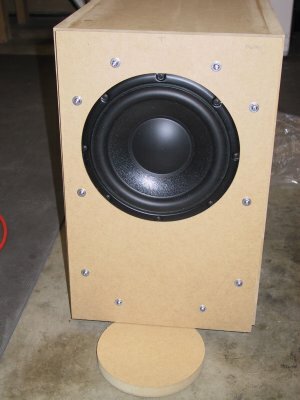 Upon completion of the sealed cabinet listening, three of the drivers were tested in a ported configuration. 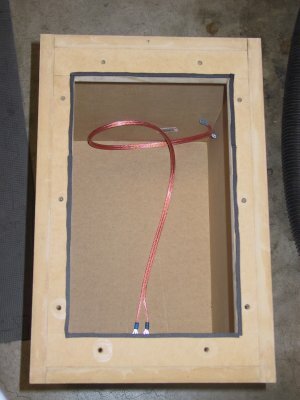 Again, WinISD was used to model the response, and since the enclosure was already built to 41.1 liters volume, two tuning alignments were chosen with this cabinet: 34Hz and 29Hz. 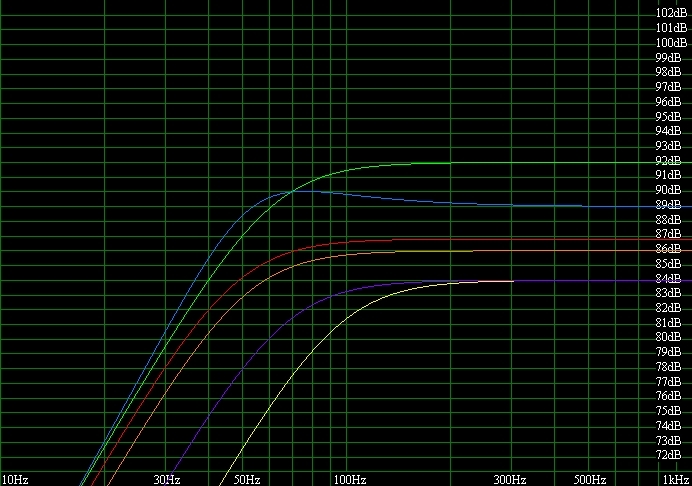 Below is a plot of the modeled vented response of the three woofers tested. The in-car listening was broken out into 2 sessions. In the first session, the Lotus 8s were listened to as a reference, and then the driver’s side woofer was swapped out. In this first session, the Peerless SLS, Rainbow, and Aura Sound were auditioned in the driver’s door, compared against the Lotus 8 in the passenger’s door. During the 2nd session, the car was initially configured with the Peerless SLS in both doors, and then the passenger side door’s woofer was swapped. 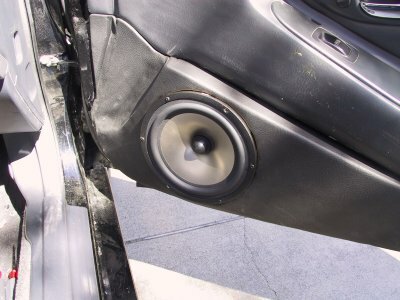 The 2nd round included the Dayton RS225, Seas L22, and Morel MW 266, compared to the Peerless SLS in the driver’s door. For each woofer, at each listening session, some minor tweaking of the crossover frequency and EQ was made, but all were crossed (low passed) ~200-300Hz. High pass filters were also adjusted based on the speaker’s low f output capability. The test tracks were chosen primarily for their mid-bass content as well as “fun factor”. (why else would you want to put an 8”driver in your door? ) The same music selections were used both in-home and in-car, though various other tracks were used at home as well. Rather than try to list order these drivers based on my tastes (as I did with tweeters), I’ve attempted to give 1-10 ratings on specific categories, and then verbally describe their characteristic sound. This because I believe everyone has a different application and different ideas on what will make an ideal mid/bass. About my own biases: from my perspective, if I were describe my perfect car mid/bass it would have: good, low end extension in a car door, high ease of use (require less equalization/response shaping, fit fairly easily in a car door), a fast & “snappy” sound quality, and great ultimate output capability. I would personally seek to use an 8” to take over where a larger (4.5”) cone mid left off in a 3-way application, so I probably value the ability to play high somewhat lower in my subjective comments. Keep that in mind. This is a very unique driver, in terms of design. To be honest, I was pretty impressed with the reverse motor mount; a very clever design that keeps the driver very, very shallow in terms of mounting depth. I gave it higher marks for build quality as a result, but thought that the exposed spider on the back side is a little dicey…. And, in as far as ease of use, the shallow mounting depth makes this a cinch to install in a door; you’re not going to find better than this if you have limited depth! However, I was not able to make this woofer perform in a way that was pleasing to me. Both at home and in car, this woofer sounded the weakest out of the group. Take a look at Nguyen’s measurements and you’ll see the lack of low end extension. 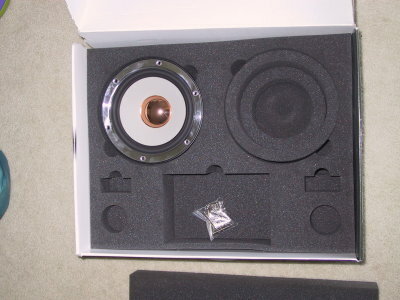 Modeled in its tiny little (optimum sealed) box, f3 is only 94 Hz, which isn’t really low enough for those of us looking for some good mid-bass output. The resultant sound reminded me of a pro-audio woofer in a (smaller) sealed box; lack of low end extension, and more emphasis going into the lower midrange. In car, the response was better, but mounting in a door free air didn’t do them justice IMO, even with cabin gain. On the other hand, if you needed a higher playing 8”, this may not be a bad choice, and with the right sub to take over the low end, it might be quite a good performer. I’ve also heard this driver mounted in a small vented box in Steve’s (Whiterabbit) Civic, and I was impressed at how well that thing slammed. My only regret is that I did not build a small vented box for this thing in my home to test. Modeling predicts it will get down to 55Hz (f3) with only 4 liters of volume at home. My bet is that I would have been much happier with this puppy configured that way. 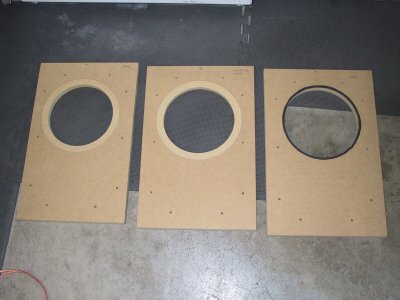 But I wasn’t about to go and build custom enclosures for every woofer! I don’t think I can say more than what’s already been said about this driver. It’s an INCREDIBLE value at $43. The driver is quite beautiful with its black anodized cone & phase plug, nice rubber magnet boot, and wonderful push terminals. Dayton did a great job on the reference series all around. Looking for something that can definitely handle the lower mid range well? This would be your ticket. My beef with this driver is that, out of the box, it doesn’t sound like a bass driver. It really does sound like a midrange. If you really wanted to use this for dedicated mid-bass duty, you’ll want to cross it lower and shape its response curve to even out the midrange and boost up the lowest octaves. Not the most easily used, so your tuning skills better be good if you want the most out of this driver. In home, I felt this driver did a lot better tonally with the vented enclosure and a low crossover point, as opposed to sealed. Even so, I felt it didn’t have that tight, thumpy sound I was expecting from it. I had such high hopes for the Dayton, and was probably the most disappointed with this one after hearing it. Sorry Dayton. Incredible value, but not my cup of tea. 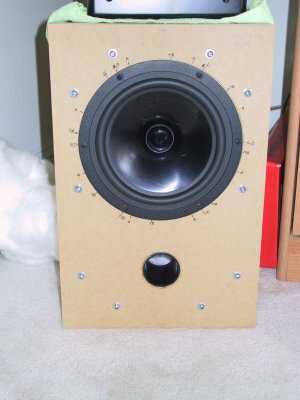 There’s nothing really special to note about the design of this woofer, except for the large 3” voice coil, and shallow mounting depth (which make this attractive for some installs). Of course being a Morel, it’s a bit on the pricey side. 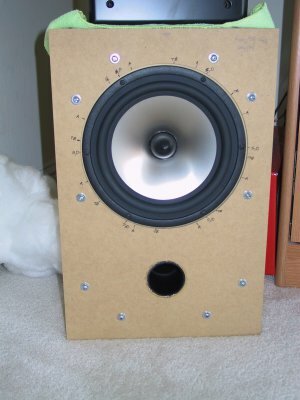 Upon first installation into my 41.1 liter sealed box, I thought the sound was pretty terrible. It sounded boxy; clearly, the volume of the enclosure was too small. It was peaky, and just not very pleasant to listen to. WinISD predicts optimally flat response with over 3x the volume I gave it. 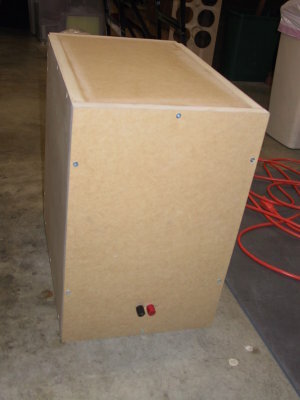 Unfortunately, I didn’t want to build a 135 liter enclosure just for this woofer, but it made me think hard about how it might work in a car….. When I finally moved outside and installed this in a car door, it was a night and day difference. This speaker’s parameters are well suited for car door use, and for the person who doesn’t want a lot of tuning headaches, this one is a good choice. It sounds very full and surprisingly balanced without any EQ, and adjusting the crossover was a snap. It also played higher quite well, if you need that. The mid-bass was very punchy, and I don’t think many would complain about its sound quality overall. Having said that, this woofer did run out of steam a lot faster than some of the competition here. It showed its weakness on the very lowest notes, where it ran out of excursion. And if I want to be picky, it also wasn’t as refined or accurate IMO as the best performers here. However, if you need a shallow woofer that plays high and is easy to tune, I think the Morel would be a nice choice. Just be sure to run a sub too. So this driver looks pretty unassuming: a simple treated paper cone, stamped metal basket… It honestly didn’t look too impressive on the outside. But, it does have a shorting ring inside, and the bumped back plate gives you an indication that there’s something else good in there! Just an OK looking driver, with a somewhat larger mounting depth, it didn’t strike me as an obvious choice for a car mid/bass driver. Moving on to in-car listening, the results there were just as impressive, if not more so. Even with the car’s transfer function, I thought the Peerless sounded quite good “out of the box”, and a huge amount of tuning wasn’t needed to make them sound balanced. However, more impressive was the Peerless’ ability to play VERY LOW with a very high level of output! They easily played down to 20Hz, turning Peter’s door pods into little rattle machines. Don’t even think about using these in a door unless you’ve done an exceptional job deadening, and have rigidly attached the drivers to the door metal, not the door panels. These drivers are what convinced me to finally gut my daily driver and take a new approach. 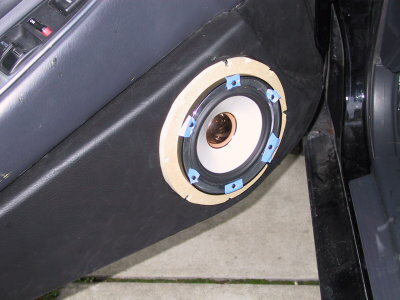 (or at least this is today’s plan ) I felt that the output was so good with these that I could see myself losing my (2) 12” subwoofers in the trunk in favor of a pair of these installed in the doors (as part of a 3-way front stage). Ambitious, yes, but I think it’d be killer from an SQ perspective. I could also gain trunk space back, which would be goodness…..
Now if I had to nitpick, the one slightly negative thing I noticed during the in-car session was that these drivers did sound a tiny less snappy in the mid (kick) bass region than the Lotus 8s, and even the Seas L22s. Now this was pretty subtle, and I don’t think I would have noticed if I didn’t listen side by side with these other drivers. On the other hand, neither of the Seas played as low or with as much output/authority. One thing I didn’t get to do was to see if I could tune the Peerless a little better, to even them out a little bit. 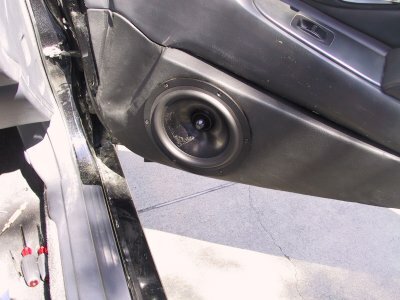 I bet an experienced tuner could get them about perfect sounding, because they are probably just slightly bottom heavy right out of the box, in a car door. One last thing: this driver isn’t a good choice if you need something to play up to 1 KHz. Won’t do it. Seas drivers are very popular amongst the DIY crowd, for good reason. This unit is representative of Seas overall standards of quality in their products. Very solid design and value. Longer throw voice coil than the prior version. ‘nuf said. In home, this driver impressed me almost as much as the Peerless. Very smooth sound. Completely controlled and articulate. Now I’ll admit that in a sealed enclosure, this driver did sound slightly thin on the bottom end, so that’s why I decided to try it in a vented alignment. I’m glad I did. It was just the ticket to get the response shaped to my liking. This one is just all around a great driver for mid-bass. In car, this driver also really impressed me a lot. For some reason I was thinking it wouldn’t sound as good in a car door, or that it wouldn’t compare at all to the Lotus in terms of “snappyness” in the mid (kick) bass region. This simply wasn’t true; it performed very close to the Lotus in this regard: so close that I don’t think people would tell the difference if it were tuned up properly. For those on a budget, with enough room in the door panel for some depth, I couldn’t more heartily recommend this driver or the Peerless SLS. If you want a little more snappy sound, and either don’t mind using a sub or boosting the very low end, go for this driver. If you want to try to go sub-less and need the best low end response, at the most miniscule loss of a little kick, the SLS is the way to go. OK. It’s ugly. It’s big. It’s heavy. How in the HECK would someone mount this monster in a car door? Well, if someone does it, I wanna check it out! Honestly, I don’t ever see this driver being used in a car door. It’s simply too big (deep) and heavy. This thing is a monster. The magnet is so big, the driver is almost unwieldy to handle. The magnet also sends off an ENORMOUS amount of stray flux. I was holding it while on the computer one day and noticed it affected my computer CRT more than 16 inches away! And yes, it’s cheap, and probably the best value if you are shopping to optimize price/weight ratio. So the one redeeming quality of this driver is that it is a little THUMPER. It can really pound out bass. Probably the “fun-est” driver to listen to in home, when playing “Vanishing Point” by New Order. It was a monster in the vented box, and no tame Jane in the sealed either. I never tried it in-car because we couldn’t make it fit. No way. OK, so now the bad news. It’s a one-trick pony. It seems to play one note, really well, and really loud. I have visions of some “boomer” installing a wall of these things in his truck so that he can be heard a mile away… But this boomer better have some awesome amps because this driver is inefficient. It’s a power-monger, and you need to feed it to make it play. Funny story: as I was trying to get this to shake a rafter lose in my house, I was able to push my receiver into thermal shutdown. Yeah; it needs power. Let’s move on….. 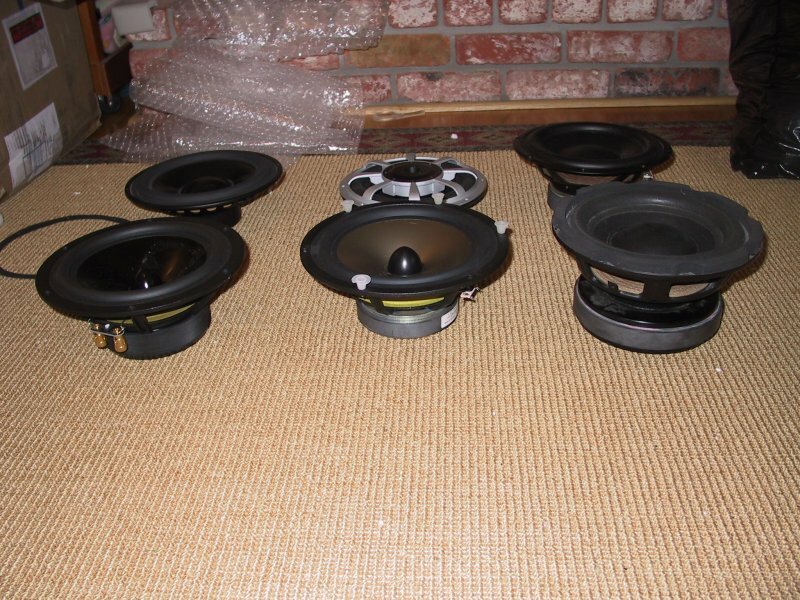 So now, a couple of car-audio specific drivers for comparison…. Thanks to Peter for letting me audition these wonderful speakers, and also use his car for the in-car test! 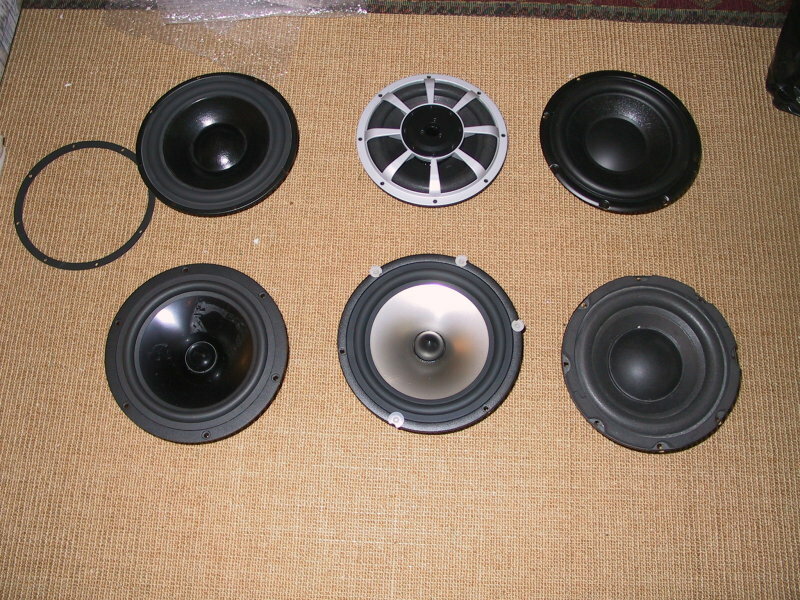 The reference standard for an 8” car-specific mid/bass. Obviously only listened to this one in-car, and it lives up to its fine reputation for quality of sound. The punchiest (snappy) driver of the test group, and also very easy to work with as it is obviously designed for car door use. 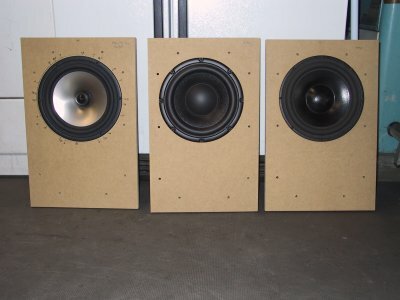 Doesn’t play as low as the Peerless, but that’s no big deal; if you own these, you probably have the finest subs money can buy in your trunk too. This famed driver came courtesy of Steve (Whiterabbit) who I would like to thank sincerely for untrusting this to me for this test!!!!! OK, so these drivers sure LOOK amazing, even though I don’t know anything about the motor design or inner workings. 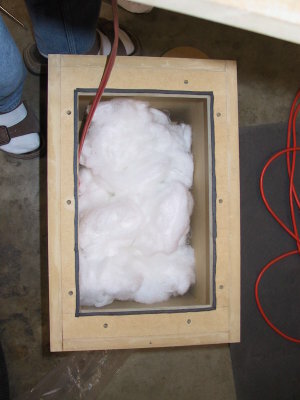 Inside a small sealed enclosure in my home, they obviously sounded terrible…. No surprise, so we took them out to the car, and they really shined when mounted in a door. Out of the box, probably the most tonally correct out of the test group. Balanced, with good control and extension. Not the least bit heavy on the low end, like the Peerless was (slightly). This one gets top marks on usability because of its small size (yes, not fair to compare a 165mm driver, but oh well!) and great “out-of the-box” sound. I doubt it would score well on output capability, for obvious reasons. I did not test for fear of having to buy one of these beauties. I would say that I would never indulge in a speaker like this, but hey, if you’ve got the bucks and want the very best money can buy, I can’t knock these speakers. I really wonder though, how they would compare to something like the Extremis or other long excursion 6.5s/7s….. That would be another interesting test…..
Last edited by shinjohn; 04-09-2007 at 10:39 AM.. Sorry it took so long to get this posted up. It took me ALOT longer to write up then expected. There was just a HUGE amount of work required to document what I actually did. Hope you and others enjoy! Now I can go back to playing around with more speakers! Great, not good, explanation and "walk through". Although I've already got myself L22s, I appreciate your time to do the tests! Fun read! HU: Denon DRZ 700-MBX ; Amps: AutisticSon SeeThis (PurrCrown modded), 2ch mono JenHasThis DMX (rapper modded); Speakers: High Breed Audio Dicknology Uranium series (modified foe sq off-axis response); Subs: 8 Critical Phat Ace 12" (modified to hit dem lowz). You just went above and beyond what most sane people would do. i must say, testing out the rainbow speakers, i was very scared, lol. didn't want to blow em and them have to pay for it. overall it was a pretty fun day. shinjohn, jay and I had a blast doing it. Yeah, I think I was going in sane typing this dang thing up! Definitely agree. And that's why we do it; it's all in good fun! Thanks again for the use of the car. You comin' back over soon to show me those new Rainbows? When do you get them, or are they installed? Hehe gonna have to break this down into a few days worth of reading, very nice looking, can't wait to get into the meat of the testing. yea sure i'll stop by when i get them. not sure when i'm getting the rainbows in. mr 3.5max6spd would know the answer. good stuff, ive been waiting to read this review and it didnt dissapoint. Which driver would you recommend if I DID need one to go to 1KHz? 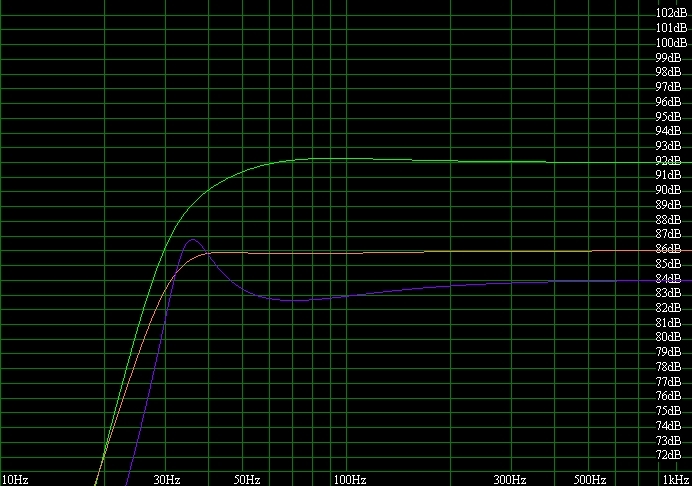 My other option is to cross my MD140/2sat 500Hz-ish with a MUCH sharper slope than the 6dB Dyn uses. If I did that which one would you recommend? Once again, a fantastic review from ShinJohn!! I thought I recognized those Assman door pods! Thanks to all of you to bing us this info...it's priceless. Thanks for the comparison. The other thing is, all the rest of you finally coming around to what a standout performer the SLS8 is - over two years late, from my perspective - means that sooner rather than later prices are going to go up. They already have once, but that was more or less just to adjust for the lower buying power of the US dollar. I'm glad I got mine when I did! oh also i'd like to mention the SLS were receiving 75 watts each and they absolutely pounded. the marc anthony track and hotel california was insanely clean, punchy and balanced. for the normal person looking for bass up front the sls again is a great choice and it doesn't need much power. shinjohn, jay and I had a blast doing it. BTW, big props to Jon and Peter, two of my bay area "partners in crime". Thanks for lending your ears and time too!!!! Also, DS-21 is right about the SLSs....... I would bet good money this driver suffers a similar fate as the XLS 8", and the recently discontinued Exclusive 4.5" 830881. It'll become a sought after commodity once it goes out of production! Thanks for the detailed review and pictures! The Peerless SLS 8s output is absolutely awesome. And it is definitely the best midbass (for car applications) currently in production. Its too bad the motor was too frickin' big for my ride. But I'm glad the JL 8IB4s are no slouches either. If I had to choose among the group here for your application, I'd probably say the Morel. However, given that you already run Dynaudio, why not go to the MW170? They're not cheap, but would definitely match up well. Exploring options mostly. The 172s aren't cheap. Plus the Dyns aren't the most efficient things in the world. I'll have to call Emilios and see about some 172s and some 102s. i say some seas lotus reference 8's . they can play up to 1khz. i have mine for sale. I, too, would bet on the SLS 8's being discontinued in the near future. For $120/pr, tough to pass up. OK, so now the bad news. It’s a one-trick pony. It seems to play one note, really well, and really loud. I have visions of some “boomer” installing a wall of these things in his truck so that he can be heard a mile away… But this boomer better have some awesome amps because this driver is inefficient. It’s a power-monger, and you need to feed it to make it play. Funny story: as I was trying to get this to shake a rafter lose in my house, I was able to push my receiver into thermal shutdown. Yeah; it needs power. I use the MCM version of it for most of my subs. I haven't found another driver like it, particularly at it's cost. 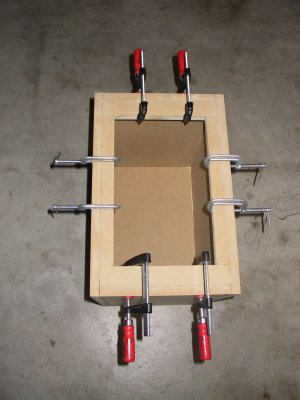 It's NOT well suited to sealed boxes; it really needs a vented box or a horn to shine. I've posted horn designs over at audiogroupforum for it. You complained that it has "one note bass." There's an easy explanation for what you heard. The low end decays very slowly, because it has a low QTS. For a vented box, this is a GOOD thing. For a sealed box, not so much. So that's the reason you heard "one note bass." It's not suited for a sealed box AT ALL. Also, it has high inductance, which rolls off the highs. That's a problem if you're using it as a midrange, but as a sub, it's no big deal. I just wanted to throw in my .02, because I still believe this is one of the most unique drivers in the market right now. It can hit like a 10 or a 12, but it's just an eight. Good points, and great comments. Appreciate your input! I guess I was a little on the facetious side during the later part of my review too... Writing long papers/reports does that to me. Reading my review back, it did actually crack me up a little! In any event, I would say that most drivers are designed with a purpose in mind, and as such, would perform much better when used for their suited application. 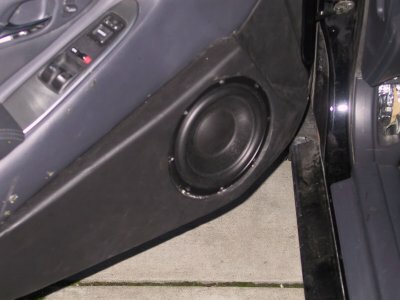 In this case, this is clearly a subwoofer; it was never designed to be a "mid/bass" in a car or anywhere else, really. I'm sure with the right alignment and application, this driver would be an excellent performer. 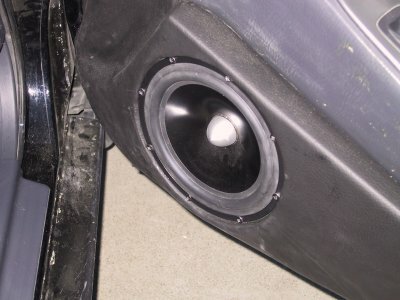 However, if you're looking for a dedicated mid/bass speaker to put in your car door, I wouldn't recommend this one based on my (limited) experience.